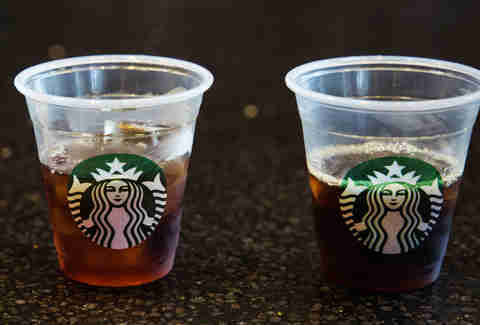 Taste Test: Will Starbucks' New Cold Brew Ice the Competition? 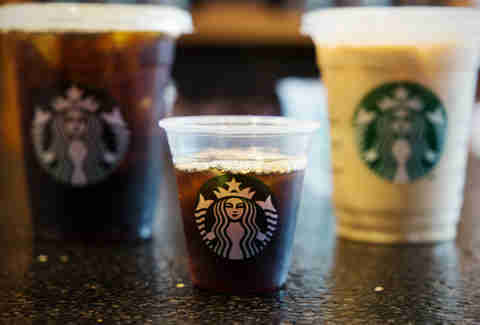 Iced coffee has dominated the "refreshing summertime drink" game for the past few years, with Starbucks Iced Coffee stealing the bulk of the spotlight. That's about to change, though, as the green mermaid is launching its new Cold Brew throughout America and Canada today, after a limited US release earlier this year. We got a chance to taste this new Starbucks blend in the wild, seeing how it stacks up against its standard iced coffee counterpart, and the proof is in the pudding. It's also in the coffee. For the uninitiated, cold brew and iced coffee are actually two different things. 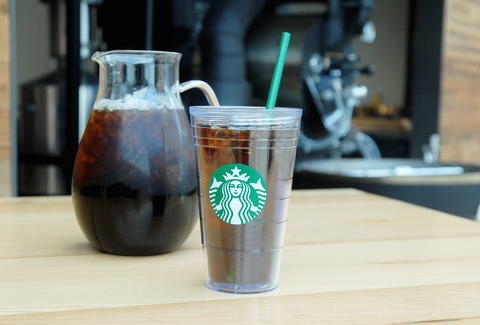 While iced coffee is brewed to double strength with hot water, cold brew is steeped using... you guessed it, cold water. It also takes a lot longer to make -- Starbucks steeps its beans in a Toddy Brewer for 20 solid hours. Starbucks' Cold Brew Blend is a special combination of African and Latin American coffees, and the final product is much lighter (in flavor and color) than its iced coffee counterpart. Even if black coffee's not your thing, Cold Brew's lack of acidity means you'll have no problem foregoing milk and sugar here. As with all new things, though, you'll be paying a premium for all that sweetness: a Grande Cold Brew will set you back $3.25, while a standard Grande iced coffee'll run you $2.45 -- and this comes on the same day Starbucks raised the prices on many of its hot drinks. That's not all, either. Because of its long steep time, and since each location makes it in small batches, once the day's supply of Cold Brew runs out, you'll either have to wait until tomorrow, or hit up another location. Not that that's a problem, because if you live in a major US city, there's basically a Starbucks on every corner. There's probably one behind you right now.